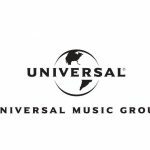 LONDON (CelebrityAccess) — Hot on the heels of a similar report by ASCAP, UK-based performing rights organization PRS For Music announced record financial results for 2017, including an all-time time high distribution of £605.1m to its members for the use of their musical works, an increase of £77.5m, up 14.7% on 2016. PRS For Music also recorded 6.6 trillion reported performances of music for 2017, a 53% over 2016. 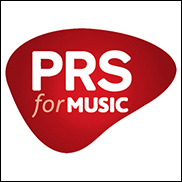 The performances incuded streams, downloads, broadcasts and live music shows, from which PRS collected a record £717m on behalf of its members, an increase of 12.7% (£80.7m) year-on-year. International revenue generated from members’ music played in markets outside of the U.K. also saw record growth, with PRS recording £261.4m in revenue, up 5.2% from 2016. Europe still remains the top market for PRS, but North America made strides to challenge that dominance in 2017, propelled by British chart toppers such as Adele and Ed Sheeran. Emerging markets such as China, South Korea, and Japan, show promise for future revenue income, PRS said. Unsurprisignly, streaming was the brightest spot of growth for PRS, improving by 52.7% driven by new multi-territory licensing deals brokered with leading digital platforms via PRS’ joint venture partner, ICE. Broadcast revenues grew as well, improving by 8.5% to £134.6m for 2017 despite the increasing headwinds for linear television in the on demand world. Public performance income also saw improvement in 2017, growing by 8.1% to £198.1m. As well as strong results from pubs, clubs and the fitness sector, high profile UK tours from Ed Sheeran, Adele, who concluded her latest world tour in London, and Little Mix, with one of the highest grossing girl group tours in history, contributed to the result, PRS said. Europe remains the largest contributor to PRS international revenue, while North American income was driven by the continuing US chart success of PRS songwriters. Emerging markets such as China, South Korea, and Japan, show promise for future revenue income.